Practice 11-12-2008: The Shantz Is Back · Let's Go Amerks! 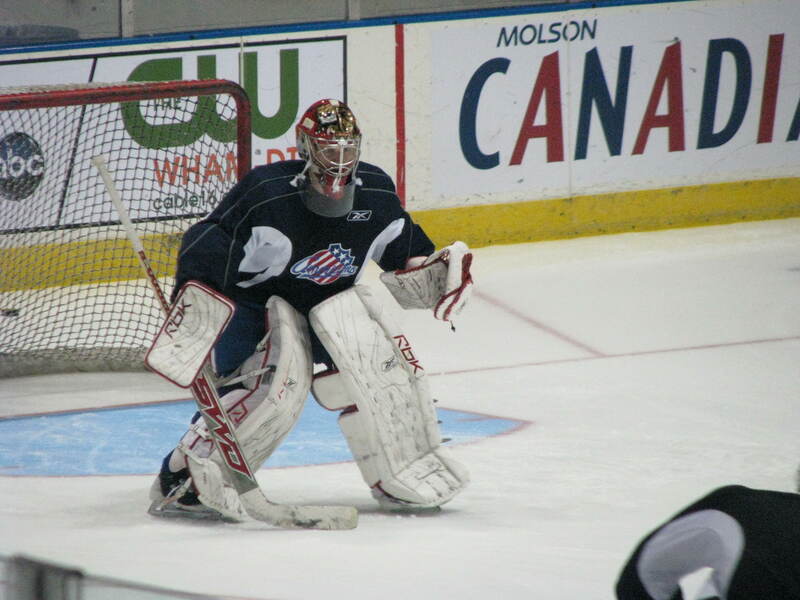 David Shantz has made his return to the Rochester Americans. For me, he is a sight for sore eyes. He has been playing well in Dayton this season. 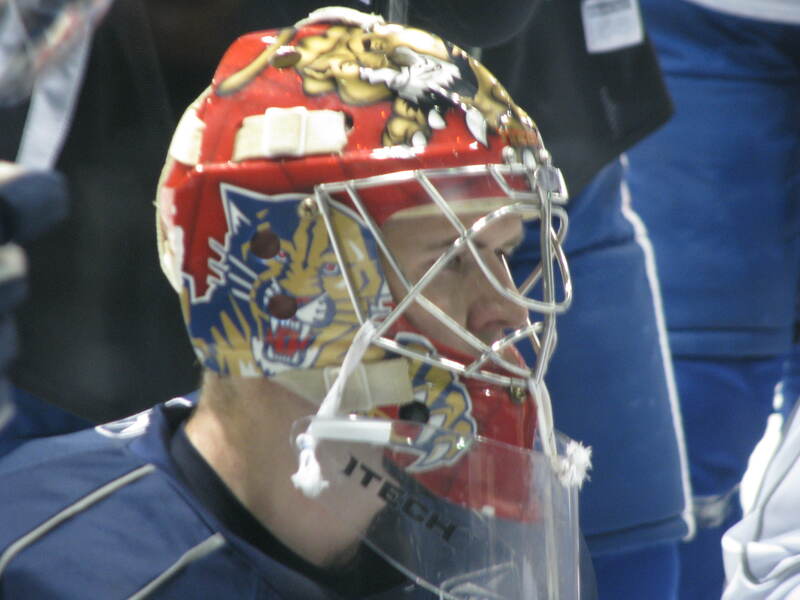 He played seven games there, getting four wins, with one shutout and an overtime loss. He has a 2.35 goals against average and a .914 save percentage this year. He clearly can’t do any worse than what has been going on here. So, there is nothing wrong with giving him a try. He has to do better than Beckford-Tseu’s 4.11 GAA and .853 save percentage. Or poor Tyler Plante’s 5.10 GAA and .850 save percentage. Luke Beaverson has on a white jersey today…so, they either ran out of black defenseman jerseys or he is being tried out as a forward. No, he is definetely practicing as a forward today. That might not be a bad idea. We all saw what happened last year when Gragnani was pulled up to score. Beaverson might be the big body in front of the net that will work well…it’s certainly worth trying. All ideas are worth it at this point. It surprises me that everytime I come here I see this team, no matter how many losses keep adding up, working 150% to try to better themselves. If I were in their position, I would be do heartbroken by the situation, I don’t know if I would be able to work as hard as they do. No one complains, everyone helps each other out, they work hard from beginning to end. These guys deserve the help they need. Benoit is really getting on them to communicate more on the ice. A lot more. And he doesn’t want them to be soft. He is very mad that they still aren’t hitting hard in the corners. Do it. Stefan Meyer left practice. He hasn’t returned so, I don’t really know what happened to him. The last thing we need is another Meyer injury. We need his presence on the ice. He is one of the leaders of this team, I am actually surprised he didn’t get an “A” this season. Mike Caruso and Tanner Glass are out because of shouler injuries. Not sure how bad either of them are but, Caruso has been out a few days already.